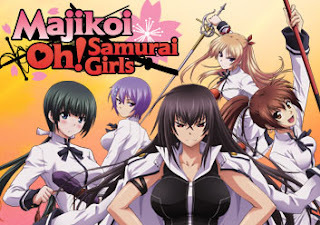 Section 23 Films announced today that MAJIKOI ~ OH! SAMURAI GIRLS is now available for you to buy on DVD and Blu-Ray! $59.98 for the DVD or $69.96 will get you all 12 episodes... That's 300 minutes of anime fun! So.... have you bought it yet? No? Here's a couple of links to help you out! !